Tangerine House Painter Tangerine, FL Residential Painting Contractor Noble Paint and Trim. If you are located in Tangerine, Florida, and you need the interior or exterior painted of your house or commercial business, look no further than Noble Paint and Trim. 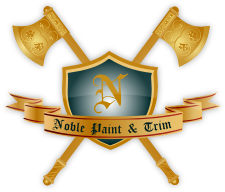 At Noble Paint and Trim, we have been servicing Tangerine and Orange County customers since 2002 with our professional painting, and carpentry services. We offer all Tangerine residents our best price guarantee. What does this mean to you? If you have a home or business in the Tangerine area that needs painting services and you get a better price or quote from another painting contractor, we will beat it. To get a free no obligation quote on your painting project in Tangerine, simply give us a call at 407-376-6622. Noble Paint and Trim provides professional and affordable exterior and interior painting services for Tangerine and Orange County residents. We can do projects ranging from small interior jobs to large commercial and residential painting contracts. All of our estimates for Tangerine residents are free and with no obligation. We are also a fully licensed and insured painting contractor for the Tangerine area. We use only the best paint on all Tangerine homes and businesses to help ensure a quality paint job that will look good and be able to stand up to the Florida sun. We also perform a thorough clean up of all job sites. To Get Your Free Painting Quote, simply give Noble Paint and Trim a call at 407-376-6622 for your free paint quote. Our hours of operation are 7:30 AM to 7:30 PM Sunday – Saturday. We are closed for all major holidays. Please contact Mike today for a free painting estimate at 407-376-6622. You can also fill out our online contact form to get your free painting estimate. Tampa SEO Company will put your site at the top of google search results like mine is. Be careful selecting an SEO Company.